This is the main species list describing plant species encountered during the ITEX survey. Plots were established for measuring flux data and for harvesting biomass for analysis. All species found in flux and/or harvest plots are summarized in this table. If a species was found in a particular location, it is checked under the appropriate column (Abisko, AR Burn, Barrow, Svalbard, Toolik, or Zackenberg). Species codes are made from the first 3 letters of genus and species names. If only the genus is known, the genus code is followed by SPP. COMMENTS: Note that this list is not comprehensive, species present in very low abundance were not identified. Many species, particularly graminoids, were identified only to genus. 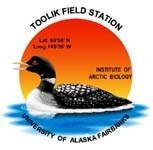 Shaver, G.R., Street, L.E., Rastetter, E.B., van Wijk, M.T., Williams, M. (2007) Functional convergence in regulation of net CO2 flux in heterogeneous tundra landscapes in Alaska and Sweden. Journal of Ecology 95:802-817.
van Wijk, M.T., Williams, M., Shaver, G.R. (2005) Tight coupling between leaf area index and foliage N content in arctic plant communities. Oecologia 142: 421-427. Williams, M., Street, L.E., van Wijk, M.T., and Shaver, G.R. (2006) Identifying Differences in Carbon Exchange among Arctic Ecosystem Types. Ecosystems 9: 288-304. Version 5: Added Toolik and Barrow 2009 data. Changed file name from 2006 to 2009. Version 6: Updated metadata form to newer version (without site sheet). CH 25Jan2013. Updated to newer metadata with site sheet. CH March 2013.